In this article we’re going to discussing what are the best bass compressor pedals that exist in 2019. However, before we jump straight into talking about each of the processing pedals, let’s briefly touch on what exactly a bass compressor pedal is, the different types, and how it works. 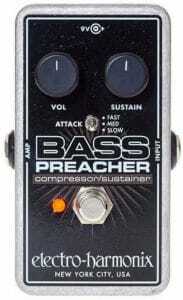 What is a Bass Compressor Pedal? 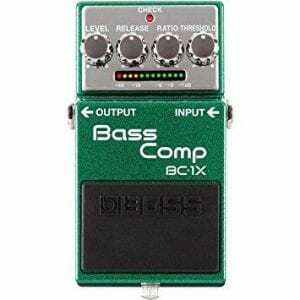 What Does a Bass Compressor Pedal Do? 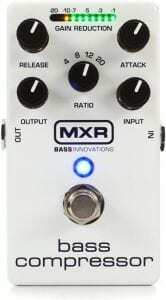 Bass compressor pedals are effects processors that reduce the dynamic range of the input signal, meaning that the natural dynamic inconsistencies that are apparent in any bassist’s playing are reduced. 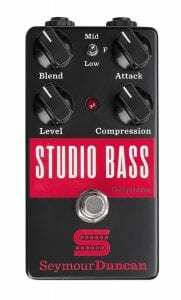 A bass compression pedal is useful for both live performances and within a recording studio environment. Bass compressor pedals have traditionally used analog circuitry, and whilst most still do, as it provides a very natural sounding compression, the advancements in digital audio emulation have been exemplary, and therefore some pedals such as the Boss BC-1X actually uses digital circuitry as it’s known to reduce static noise that is caused by the analog circuitry. However, for some, this noise creates a depth to the sound and adds character. I advise that you take a look and listen to all of the video demonstrations that we’ve supplied following each processor review. 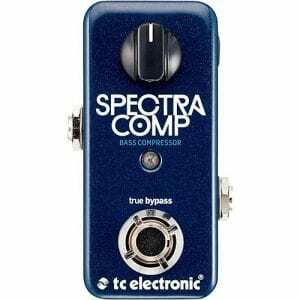 As we’ve previously discussed, a compressor pedal for bass guitars will help limit the dynamic range of the input signal, outputting a more limited signal. The outputted signal is determined by a number of settings on the interface itself, which the user can adjust accordingly; There settings usually specify the upper and lower dB range of inputted signal to which if this is surpassed, the signal will either be boosted (if it’s lower than a certain dB level) or limited (if it’s louder than a certain dB level). The style of music played will also play an important factor into determining the level of compression applied, with styles such as Pop/Rock being renowned for over-compressing. These bass compression processors are usually used alongside other bass effects pedals, i.e bass octave pedals and bass preamp pedals, but are placed further along in the signal path, to compress the overall signal after all other effects have been introduced. These pedals are typically used within a live performance setting, allowing a band to gain a balanced sound, with all instruments using compressors. Although these processors can be used within a recording studio, they are usually not, since every studio will have rack-mountable compression units which provide ultra high-quality signal compression, suitable for most instruments. 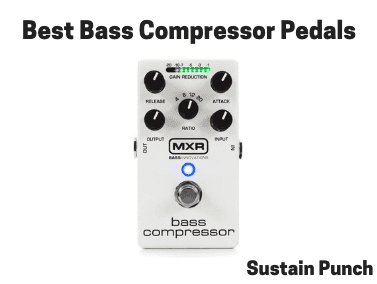 So without further ado, what are the best bass compressor pedals of 2019? This particular pedal only has one knob for compression settings, which makes it very easy to use for beginners, but somewhat limiting for more experienced technologically minded musicians. Although, the device comes with what TC Electronics call ‘Tone Print’, providing endless compression combinations that can be accessed by the free app and editor. The unit has interface controls for the following signal parameters : Attack, Release, Ratio, Input, and Output. 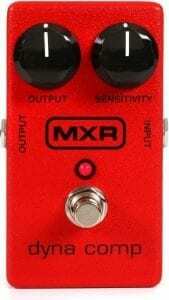 Constant Headroom Technology which represents an internal voltage doubler so when the pedal power supply is plugged in, the voltage doubles from 9v to 18v, providing clean headroom. 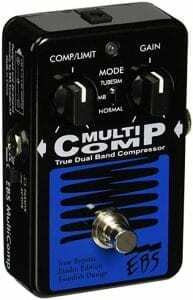 This processor is suitable for someone looking for a compressor which can be used on both guitar and bass. 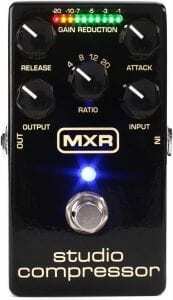 However, if you’re looking for a dedicated bass compressor pedal (which is highly likely) then take a look at the MXR M87. Features an array of interface controls, with parameters for the following: Attack, Release, Ratio, Input, and Output.